As we’ve seen numerous times in movies, holograms are real. It’s really happening! It’s an exciting new phase in technology that lets us explore a simulated environment. Be it for means of communication or entertainment, we just want to get our hands on this latest technological phenomenon. What is the Science of Holography? Simply put, it is the practice of making holograms. A hologram is a recording of a light field done photographically. It is used to display a 3D image which can be seen without the use of additional equipment like special glasses. Communication is a response to a stimulus. Our memories are stored holographically in our subconscious mind. Using holographic communication, we can now record an event and project it to someone else so that they can see what we saw, exactly how we saw it. The clarity of the image projection depends on the level of coherence of the original light source. So, a clearer image is projected when a higher energy level is used for the communication. Educators and professors could use this technology to better illustrate and demonstrate models to the learners. They can communicate an idea better. Gone will be the days where we have to travel thousands of miles to see our loved ones and relatives. With this technology, we can interact with them in the comfort of our homes. Microsoft has already achieved something like this with a creation that they call holoportation. A massive amount of cameras are used to capture one person’s movement and speech in a room and instantaneously project these movements and images into another room where a HoloLens user can interact with the images. Holographic gaming will be an exciting new aspect of this technology. It will be a dream come true for gamers everywhere. We’ve only ever dreamt of virtual reality. Now it will literally be a reality. Microsoft has already created a star wars-style holographic communication model which is called, ’holoportation’. Although this may initially sound corny, it is named holoportation because of its sci-fi implications of being teleported. Imagine the possibilities of medical science when a simple MRI scan can be projected and evaluated more thoroughly. It could bring forth an array of discoveries, treatments, and advancements in the medical field. Using holographic communication, a map with a thorough GIS (Geographic Information System) can be projected in layers. It could help when planning rescue missions, attacks, and other strategies. 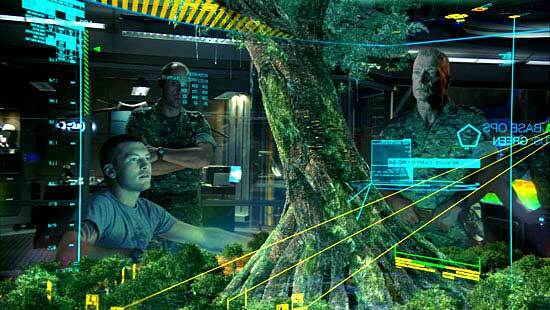 Holographic technology will be able to do things that we’ve only ever imagined. It will have an array of applications once perfected. The possibilities are endless. It is guaranteed to become a very integral part of our society, just like cell phones. All present displays like phone and TV screens will be replaced by holographic technology.